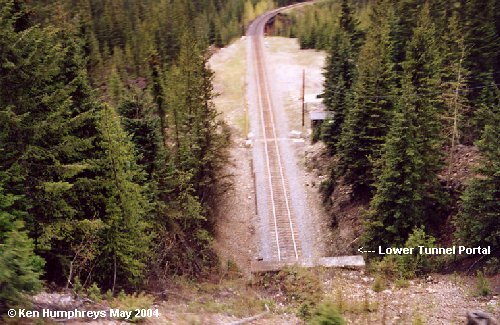 The grade from Field, British Columbia up to Kicking Horse Pass on the Canadian Pacific Railway mainline was once the steepest and most hazardous in North America. 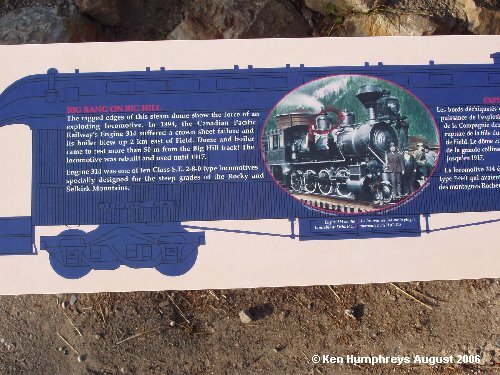 It was called the "Big Hill" and big it was. 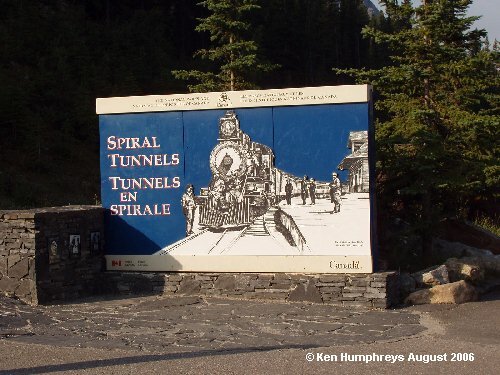 CPR used it from 1885 until 1909 when the famous Spiral Tunnels were completed. 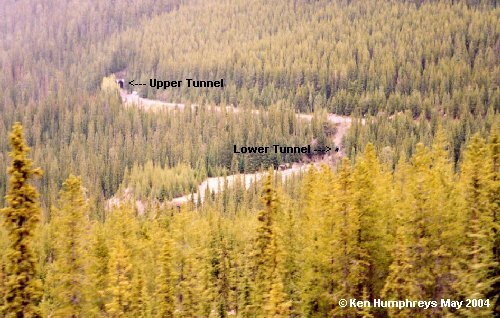 This sequence of photos illustrates what the "Big Hill" was like and the improvement the Spiral Tunnels were. 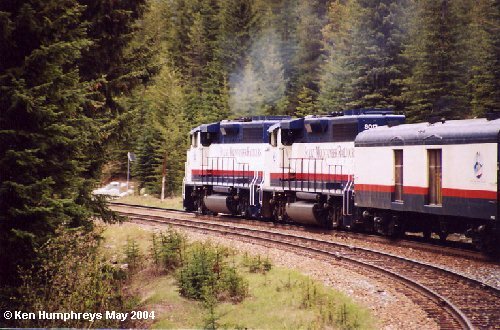 Some of the photos were taken in May 2004 from the Rocky Mountaineer eastbound from Field to Banff. 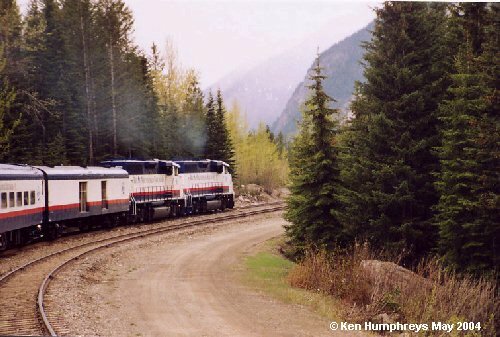 Other photos were taken from the Trans-Canada Highway in August 2006. Click on an image below to see its full sized version. 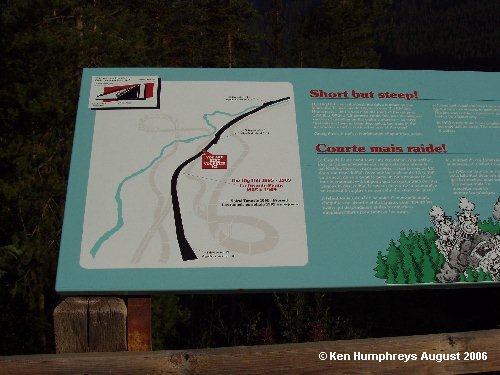 Some images are of signs on the Trans-Canada Highway at an overlook of the Spiral Tunnels and a sign at the foot of the mountain. The key text from each sign is provided below the pictures. Hit your back button to return and view the next photo. All images are copyrighted by Ken Humphreys. 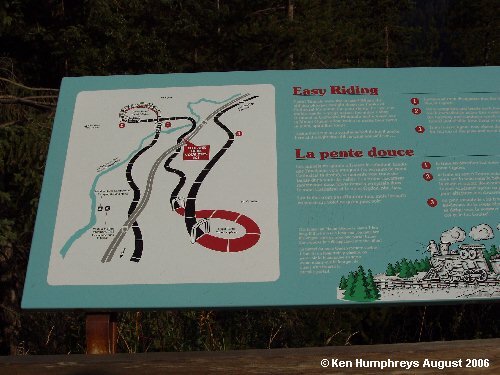 The Spiral Tunnels - Easy Riding! 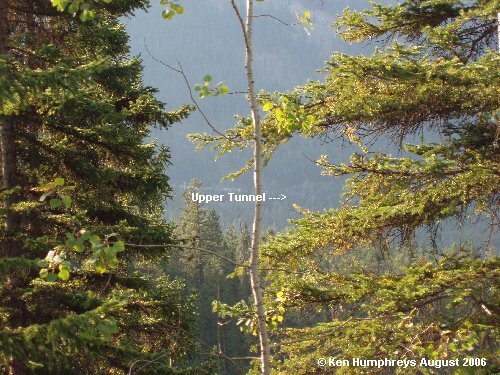 Looking up at the Upper Spiral Tunnel from the foot of the grade. Now for a trip up through the tunnels! 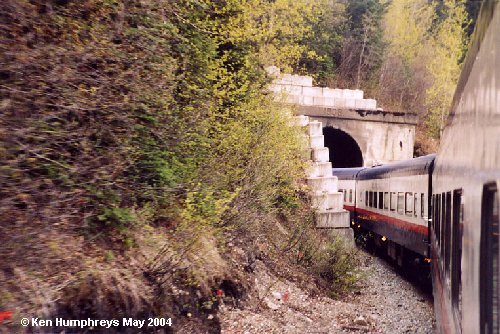 Looking down on the lower portal of the Lower Spiral Tunnel after exiting from the upper portal.